Easy access to the old colonial area of Merida, parks and zoo. Perfect location to set off from to walk the beautiful city of Merida. If you plan a two day trip from Merida to see the Convent Route and the Puuc Route, this is the perfect midway place to stay. Merida is a small city. We liked the property and the privacy there. The service people are very friendly, The food is good but could be a bit more fancy. The quality of the offeredtea ( tea bags of the simplest) would have to be improved. 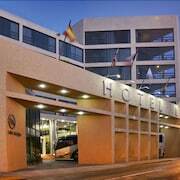 Please compare the offer of other 5 stars hotels in the world. 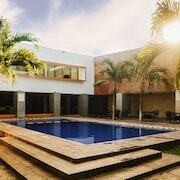 Beautiful property, amazing breakfast and nice and tranquil swimming pool. It is right in the middle of the center of Merida which makes it the ideal location for those that want to walk to the local hangout's and mercado's. The only thing that needed some work is possibly the work-out facility. They have older units in the work-out room, but I intend on staying here again. You can get your workout by walking is my viewpoint. 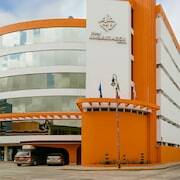 Where to find Merida hotels near an airport? How can I find hotels in different Merida neighborhoods? 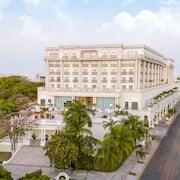 Where can I find hotels in Merida that are near tourist attractions? 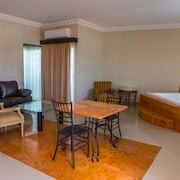 From the cheap and cheerful to the more luxurious, Merida features a wide range of comfortable lodging choices. Expedia lists 82 hotel options within 0.1 kilometres (0.06 miles) of the center of Merida. 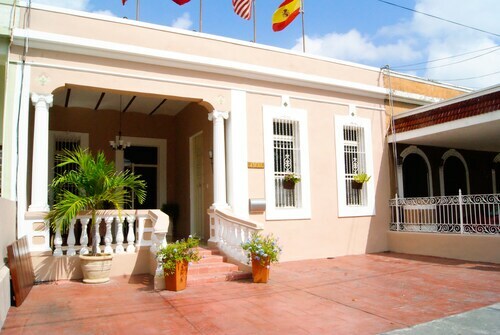 Within 1 kilometre (0.6 miles) of Merida's city center, visitors can enjoy some great accommodations, including the Casa Lecanda Boutique Hotel and Hotel Hacienda VIP. Travelers who want a well-known hotel neighborhood, should try Centro. It is 0.07 kilometres (0.05 miles) from the heart of Merida. There are 67 places to stay in the neighborhood. The Hotel Casa Azul and Rosas & Xocolate Boutique Hotel are some places to base yourself in Centro. Another place you could stay is Uxmal. Uxmal is where you'll find the The Lodge At Uxmal and Hacienda Uxmal Plantation & Museum. Or, try Tixkokob, where you'll find the Hacienda San Jose, A Luxury Collection Hotel, San Jose and Hotel Hacienda Ticum. Progreso is 35 kilometres (21 miles) from Merida's downtown, while Celestun is 70 kilometres (45 miles) from the middle of Merida. 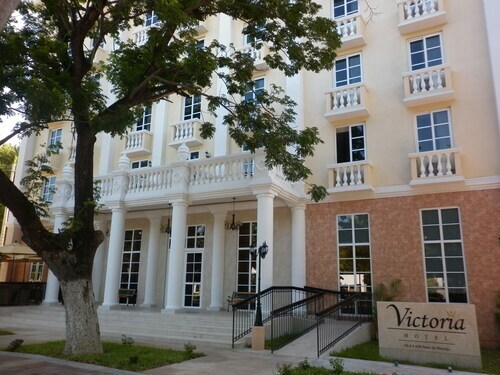 The Villas Yessenia and Hotel & Suites Domani are in Progreso, while Xixim Unique Mayan Hotel and Playa Maya Resorts are in Celestun. If you have very few wishes and are simply hoping to find more affordable Merida accommodations, there are enough economy lodgings on offer in the area. The Hyatt Regency Merida Hotel is 2 kilometres (1 mile) from the main part of Merida, while the Holiday Inn Merida Mexico is 2 kilometres (1 mile) away. 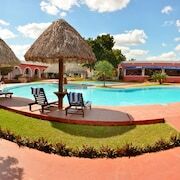 Other affordable room options include the Hacienda San Pedro Nohpat and the Gran Real Yucatan. The The Hacienda Xcanatun is located 17 kilometres (10 miles) from the center of Merida. Or, alternatively, the Hacienda Misné can be found 5 kilometres (3 miles) away. 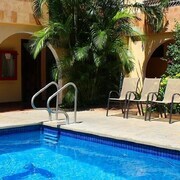 Alternatively, check out the amenities and rates at the The Villa Merida Hotel or the Hacienda Santa Cruz. 70 kilometres (42 miles) to the south of Merida is Progreso, where you'll find the Uxmal Archaeological Site. Travelers planning to stay in Uxmal can choose from the Uxmal Resort Maya and La Casa del Mago. You can also visit Progreso, which is home to the Progreso Lighthouse. Progreso can be found 35 kilometres (21 miles) to the north of Merida. The Condominios Orca C3 and Hotel Playa Linda are all good places to lay your head. If you are planning on arriving via Manuel Crescencio Rejon International Airport, you might like to stay at Hotel Hacienda Merida, or Hotel Boutique Casa San Angel, which are both a short drive away. What are the most popular Merida hotels? 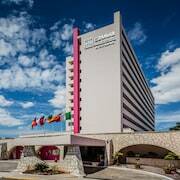 Are there hotels in other cities near Merida? What other types of accommodations are available in Merida? Explore Merida with Expedia.ca’s Travel Guides to find the best flights, cars, holiday packages and more!